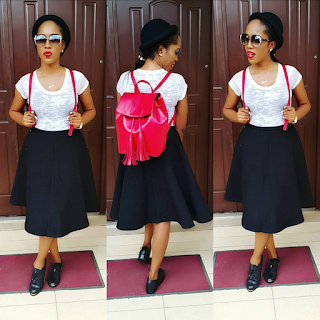 The beautiful lady rocked her knapsack on a skirt and blouse and she looks good. Quick question have you noticed colour red always compliment white and black? 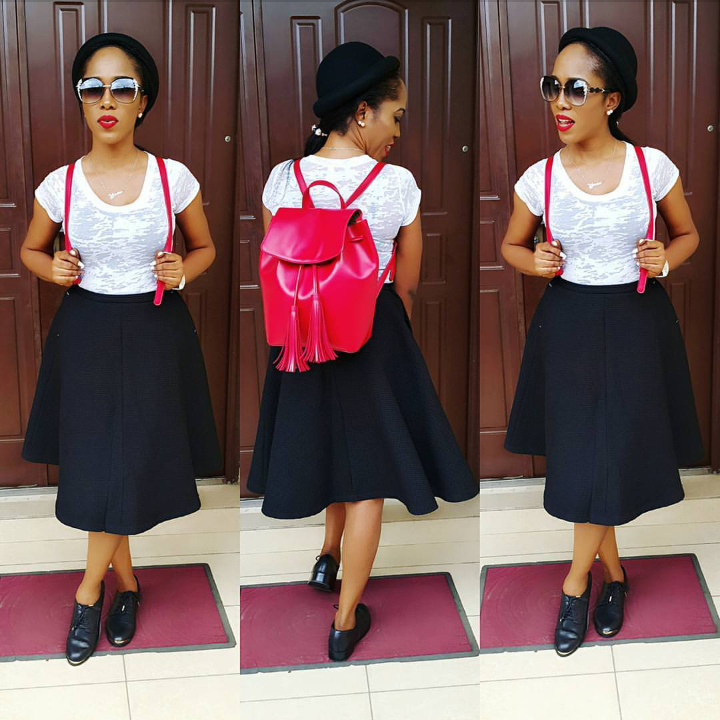 The red knapsack gave life to the white and black outfit. Now back to the main gist before the digression, the previous pictures we have seen HERE and HERE the ladies were on trousers. Still waiting for a picture of a lady that will rock a knapsack on traditional attire like blouse and George or buba and wrapper if you see one kindly tag us on Instagram @houseoflawof thank you. Nne tis your skirt eh!